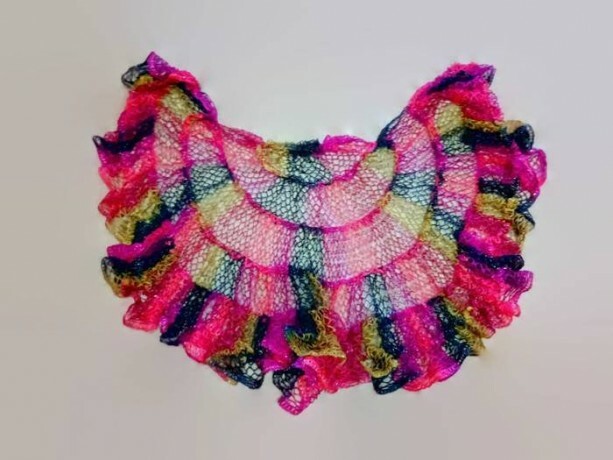 This is a fun multicolor capelet. 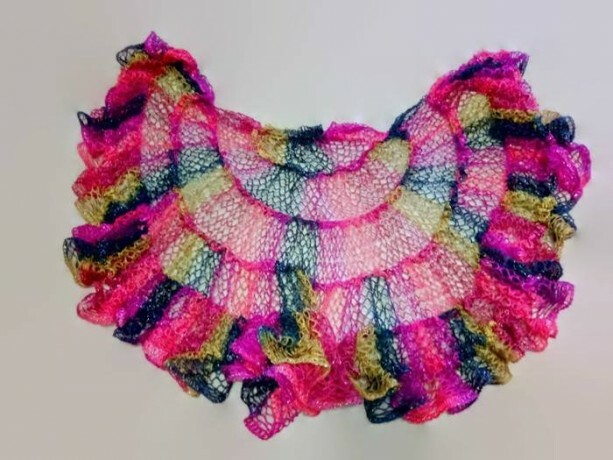 This could be for a child or adult. 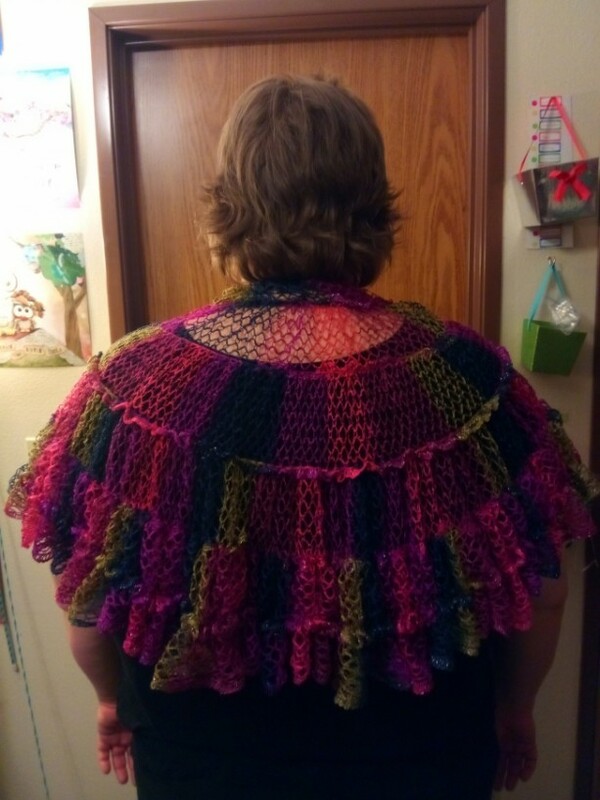 If it's for an adult it would be considered a mini capelet. 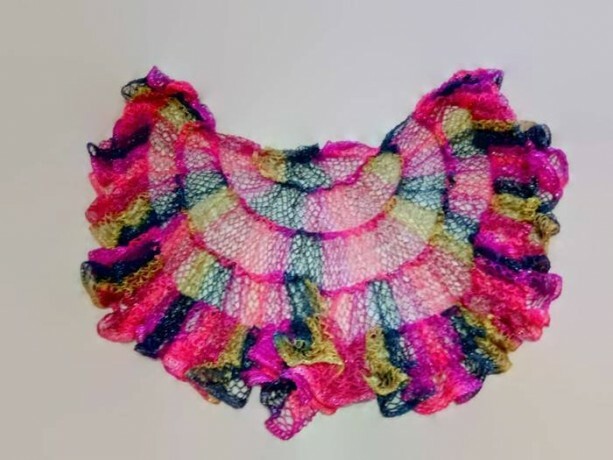 This was made with soft acrylic yarn that can be machine washed and dried. 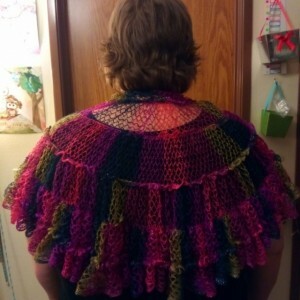 This capelet measures 34" across X 22" long.